Fences, walls and similar barriers have been around for thousands of years. These structures have been used to safeguard livestock, separate land, protect property and enhance landscapes. As time has gone by and materials and building technologies have improved, fences and walls have become incredibly important structures for any property. Even though the most common use for fencing is to designate boundaries and protect homes and land, there are some world-famous fences that continue to stand the test of time. Below, we’ve listed some of the most famous walls and fences in the world. 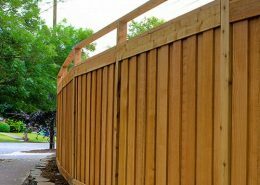 Read on to learn what purpose these fences serve and why they’re so noteworthy. This fence is the longest true fence in the world. It measures at 3,400 miles, or about 5,600 kilometres. This fence was built in the 1880s and then fortified in the early 1900s. It runs from Surfer’s Paradise in Queensland to the cliffs above the Great Australian Bight. The fence was erected to safeguard sheep from dingoes in the area. Over the years, the dingo fence has served this southern part of the country well. The farmers and ranchers across Queensland saw fewer attacks from wild dogs, and their sheep were able to graze and grow in number. However, once the wild dogs left the area, the kangaroo population grew incredibly. Now, kangaroos and sheep compete for sparse grazing along the fence’s perimeter. Sometime between 122 and 128 CE, Roman Emperor Hadrian built Hadrian’s Wall in Britannia, what is known today as the United Kingdom. When it was first constructed, the wall stood between 16 and 20 feet tall, 10 feet wide and 73 miles (or about 117 kilometres) long. This security measure runs along the Tyne Rivers and spans from coast to coast, with the ends touching the North and Irish seas. The wall was built to protect Roman colonies from Scottish tribesman that the Romans considered ‘barbarians’. The wall is built of stone locally found in the area. The wall upheld its intended purpose, but it has weathered down over time. As the wall started to disintegrate, people would reuse the intact stones to build other buildings. Now, though, the wall is protected and guarded to prevent theft and preserve the remnants. On both sides of the Pont des Arts Bridge in Paris, you won’t exactly see a fence. Instead, you’ll see about 509 feet (155 metres) of padlocks and key locks. Since 2008, tourists who’ve visited the Pont des Arts have attached a ‘love lock’ to the chain link fence found on either side of the monument. The locks usually contain love messages or have names on them so that these lovers can display their romance to the world. Visitors who add a lock to the fence will also throw the key into the river Seine to further demonstrate the unbreakable bond of their love. In total, the fence holds hundreds of thousands of locks. However, in 2015, a 6.5-foot section (about 2 metres) of the fence collapsed under the immense weight. As a result, Paris city officials approved a motion to have all the locks removed from the fence. In June 2015, all the locks on the fence were removed, and the fence was replaced with glass panelling to prevent tourists from adding more locks. The Great Wall of China is perhaps one of the most well-known barriers in the world. This wall has also become a symbol of Chinese history as it was constructed as early as the third century BCE. Emperor Qin Shi Huang ordered this structure be built as a means of protecting China from invasion. While the wall didn’t entirely prevent invasions, it did enhance the empire’s economic standing. Today, parts of the Great Wall of China have crumbled into disrepair, but many portions of it still stand tall and attract many tourists. However, the renaming portions requires a lot of routine maintenance and care to continue standing. Located in Fenway Park in Boston, Massachusetts, the Green Monster is the left-field wall of this famous ballpark. The Green Monster is famous for both its size (11 metres high and 70 metres long) and its bright green hue. The wall was built in 1912 and was originally made of wood. In 1934, it was covered in concrete and tin and has since been re-covered in hard plastic and other durable materials. The monster was painted the iconic green colour in 1947 to match the rest of the field. The Green Monster protects Fenway Park from people who might sneak into baseball games, but its great height also protects outsiders from flyaway baseballs. While portions of these fences and walls have either fallen or been taken down, they have still stood the test of time. They’ve protected both people and land and have become symbols of strength and love. You too can turn your traditional fence into a symbol of protection and grandeur. Simply turn to Amazing Fencing to find the best materials for your property. 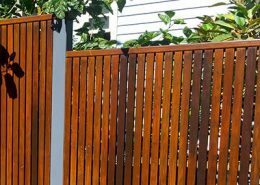 Get your free timber or steel fencing quote with Australia’s number one fencing installer.